It sort of feels like that at times. Committing to something every day can be a challenge. To be honest, I still find brushing my teeth a chore, but I still do it. So, when it comes to yoga practice, yes, the smoothie really does need to be made now. My emails just have to be answered. Oh, and I wonder what is happening on Facebook and Instagram?! And, practicing #YogaEveryDamnDay??? Interesting how we know how we’ll feel after practicing yoga, and yet, it seems such an effort to get the mat out at home and do a practice. Why is it easier to go to class and have someone “do” yoga to us? Is it because it is easier to be guided by someone, or is it because it is easier to block that time out in the diary because we are expected to go somewhere, and we cannot justify blocking the time out in our diary when we are at home? Is it just because it seems too much of an effort? Well, physical yoga practice, that is. I find it fascinating that so many people assume yoga practice is about the physical practice of yoga; doing postures, flowing through the Sun Salutation. Let us clear something up …. 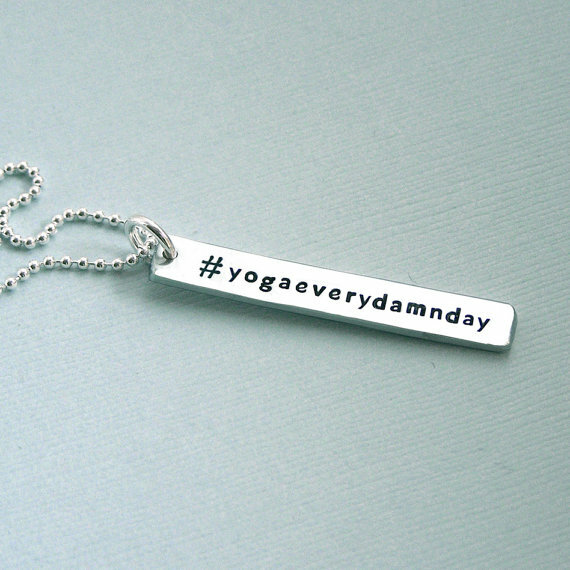 Yoga practice is more than that. It is also about seated breath work. It is also about meditation. With the ideal yoga practice, you would practice all three – physical postures, seated breathing and meditation. In reality though, time is scarce for most of us and so, why not take an element of the ideal yoga practice and just do that? Or, even just sit on your mat and journal. All these are part and parcel of yoga practice, albeit bite size chunks but the way I see it, it is better than nothing at all. Commit to a daily practice. It could be just 15 minutes a day. I am sure you can find 15 minutes somewhere in your day. And, even if you decide to not practice that day, you have taken the time to consider why not. Stand, sit or lay down to centre yourself. Check in on how you are feeling. Focus on slow, meaningful breaths. Move through a few rounds of the Sun Salutation. Or, do some simple seated or lying poses. If you have the time, do the Sun Salutation followed by some standing poses, then seated and finishing with lying poses. Or, sit in a comfortable position and focus on your breath. Breath slowly and deeply. Feel the rise and fall of your chest. Feel the expansion of your ribcage with each breath. Or, sit and write in your journal. Reflect on your day. Express your gratitude. Set out your intentions for the day. The list is endless. I just hope you now have an understanding that yoga practice is more than just physical. It is about life off the yoga mat too.